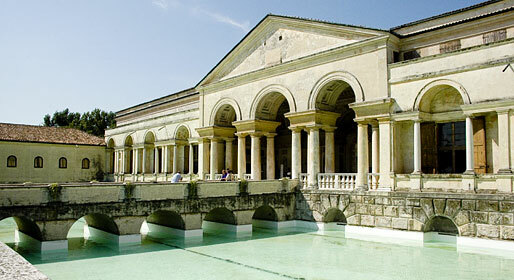 Of Etruscan origins, Mantova is a truly fascinating city, a treasure trove full of history and artistic masterpieces. Names which have made the town famous throughout the world include Mantegna, Pisanello, Leon Battista Alberti, Giulio Romano. 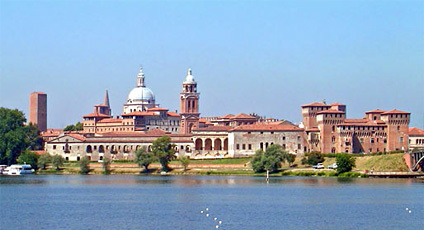 The splendor of Mantova dates back to the dynasty of the Gonzaga Family, symbolized in the Palazzo Ducale. Wandering through the narrow streets and under the colonnades one can marvel at the Basilica of St Andrea, Mantova Cathedral, the Church of St Lorenzo, the oldest of the city's churches in Piazza delle Erbe, Palazzo del Podestà, Piazza Broletto, the Bibiena Theatre named after Antonio Gallio Bibiena who designed it, Palazzo D'Arco with the Giuseppe Bazzani Salone. 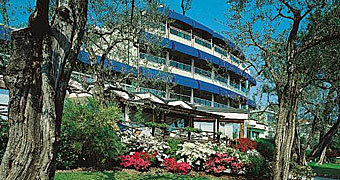 The excellent cuisine of the Po Valley in one of Italy's finest restaurants. A dream location and an eating experience to remember.